The decline in demand from China and Saudi Arabia led to a sharp drop in barley prices in recent weeks, despite the low level of supply in the world, and price pressures may continue if the prospects for the harvest next season will be good, analysts Strategie Grains. The barley market was growing at the beginning of the 2018-19 due to the affected by weather conditions crops in Europe and Australia and the expected fall in world stocks, which, in the opinion of the US government, will reach 35-year low. However, competition from cheap corn as feed for livestock and a lull in demand from the main importers — China and Saudi Arabia — have hit the price of barley, including in Australia, where severe drought has reduced the export surplus of the country, according to the French company Strategie Grains. "Very high price of barley during the first half of the year led to a reduction in global demand, which in turn led to a price war between the major exporters of barley in the world market", — stated in the monthly report Strategie Grains. The effect of falling demand due to high prices is exacerbated by the anti-dumping investigation of China in terms of its barley from Australia, its main supplier, and precipitation in Saudi Arabia, which can increase the grassland area in the country. Last month price for barley in the European Union and Argentina fell by 15 — 20 dollars per ton following the decline of prices in Australia (prices in USD). Strategie Grains lowered its forecast for exports of barley from the EU to 2018/19 year to five million tons from 5.8 million last month. Downward pressure on prices may continue, if China will continue to refrain from purchases in Australia and Saudi Arabia will further delay the return to the market. Favorable crop prospects for 2019 in Europe and the black sea region can also exert pressure on the supply side in the next season. On the contrary, the prospects for wheat exports from the EU this season has improved because of reduced availability and rising prices in the black sea area, as well as in Argentina. 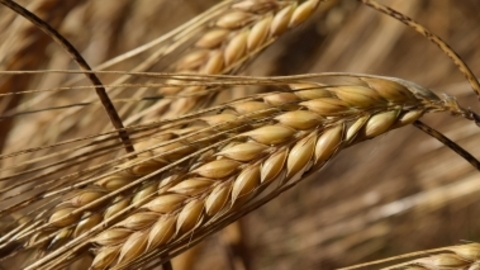 Strategie Grains raised its forecast for exports of soft wheat from the EU, with the exception of durum wheat, in 2018-19 year to 18.7 million tonnes from 18.5 million. However, as in the case of barley, the global demand for wheat was restrained by cheaper corn, and this trend may continue next season, despite the expectations of growth in demand for wheat, as production is recovering. As for production in the EU in 2019, Strategie Grains left its forecast for wheat production unchanged at the level of 146,4 million tons, 15% more than last year, and slightly increased the forecast of the harvest of barley up to 62 million, up 11% compared to 2018.